If your child is going to camp this summer, you’ll want to add ‘head check’ to your to-do list. Getting your child checked for head lice before they go to summer camp will save you time and money, and most importantly, ensure your child gets to enjoy every minute of summer camp. 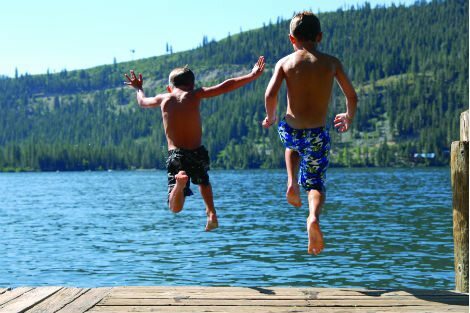 97% of head lice cases are spread by head to head contact and the close quarters of summer camp make it the perfect environment for lice to spread. Pediatric Hair Solutions recommends getting your child’s head checked by trained professionals a few weeks before summer camp starts. If your child is positive, you will have time to effectively treat and eradicate the case of head lice before camp starts. Don’t waste your time and money on treatments that don’t work. Most people don’t know that the most common over the counter treatments for head lice aren’t nearly as effective as they used to be.That’s because lice have developed a resistance to the chemicals found in Rid, Nix and other popular lice shampoos. Pediatric Hair Solutions uses a scientifically based, non-toxic approach to treating head lice that is guaranteed to be effective. Because we don’t use chemicals, lice cannot become resistant our treatment process. We use a non-toxic treatment solution to kill the live bugs and a heated air medical device which dehydrates and desiccates all of the bugs. So before you send your child to camp, do your child and other campers a favor and get him or her checked for head lice. You’ll be relieved if they don’t have it, and thankful you caught it in time if they do!